George Smart, Executive Director of the non-profit organization North Carolina Modernist Houses (NCMH) and Bernie Reeves, Co-Founder and Publisher of Metro Magazine, have announced that NCMH’s Colossus Architecture Magazine Archive is now the official historical archive for Metro Magazine. Reeves continued that tradition in Metro Magazine, a full-color monthly publication that covered a 22-county region from the Triangle to North Carolina’s coast. Established in 1999, Metro generally published monthly until April 2013 and enjoyed a circulation of 40,000. 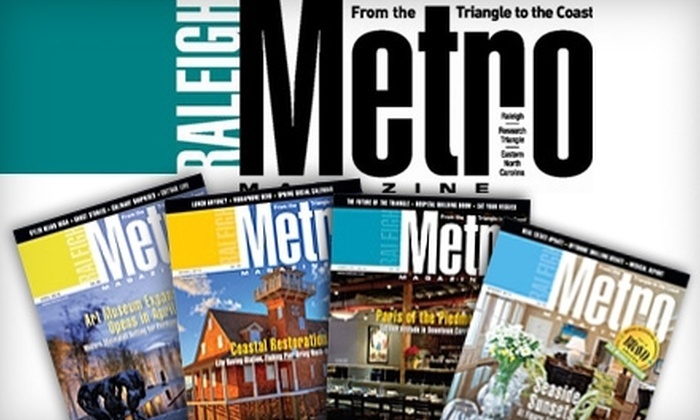 Two writers covered architecture for Metro: design editor Diane Lea, who wrote features on residential design from historic preservation to Modernist houses; and Michael Welton, author of the online journal Architects+Artisans.com and the Raleigh News & Observer’s architecture critic. “Metro and the other publications in our Colossus archive chronicle the best of Modernist houses along with the talented, progressive architects who created them,” said George Smart, who recently received the American Institute of Architects’ 2016 Collaborative Achievement Award. Colossus can be accessed at www.ncmodernist.org/colossus.